Fees associated with Danish PCT national phase entry as well as other patent fees are available in the fee calculator. The time limit for PCT national stage entry in Denmark is 31 months from the date of priority. This term may be restored within two months from the observance of an error, however, not later than one year from the expiration of the deadline. Filing of description, claims, figures and abstract is enough to obtain a date of filing for the Danish patent application based on the PCT. The official language is Danish and English. The application may be filed and further processed in English; however the Danish translation of patent claims should be submitted before granting a patent. The legalisation or notarization of the POA is not required. A scanned copy of the signed Power of Attorney is sufficient. The request for substantive examination is made at the time of entering the PCT national phase in Denmark by paying the filing fee. The procedure of acceleration is available. The six-month novelty grace period is applicable if the disclosure has occurred as an evident abuse in relation to the applicant or display at an exhibition falling under the Convention on International Exhibitions. The official grant fee for Danish patent should be paid within two months from the Notice of Allowance. The 1st-3rd maintenance fees should be paid by the end of the 2nd year of the patent application. Inventions may also be protected as Utility Models in Denmark, which are subject to formal examination only. Substantive examination is carried out only if it is explicitly requested at any time before registration by the applicant or after registration by the registrant or any third party upon payment of the examination fee. Utility Model in Denmark shall be granted to any new creation which is susceptible of industrial application and which provides a solution to a technical problem, and which clearly differs from the state of the art. The official grant fee for Danish UM is included in the filing fee. The UM is valid for 3 years from the international filing date and may be extended for a further three-year and a four-year terms up to 10 years by payment of the first maintenance fee by the end of the 2nd year and the second maintenance fee by the end of the 6th year. 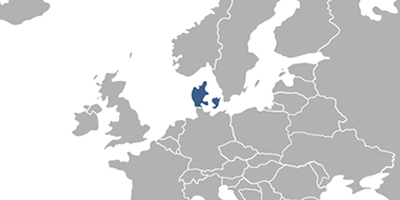 Foreign applicants should perform PCT national phase entry in Denmark through a local agent, a registered Danish patent attorney. 1. Online Search Databases: Danish Patents and Utility Models, European Patents (EPO). 2. The PCT application in Denmark also may be nationalised via entering the European PCT regional phase and further EP validation in Denmark.